If your migraines begin with pain in the back of the neck like mine, here are some ideas for stopping the migraine. If you are on medication like one of the triptans (for example Imitrex), you should take this as soon as you recognize it is a migraine. These ideas can help your medication work better or even substitute for it sometimes. The key is to start these as soon as you realize it might be a migraine. Take ibuprofen ASAP. This generic drug is an anti-inflammatory and many studies show it can have a significant effect on migraine pain. It will even help your Imitrex work better. The migraine research on this drug used generic ibuprofen and not one of the expensive brand names. Apply ice to the back of the neck up under the skull and not down on the muscles of your shoulder. I freeze gel packs so they have a bump in the middle that presses on this area. Frozen peas will fit into the back of the skull too if no gel pack is available. If the migraine is being triggered by cold and shivering, I stick on a neck-sized ThermaCare pad lower on the neck than I would place an ice pack so it warms up neck and shoulder muscles. These are the pads that generate heat when removed from the package. They can take up to 30 minutes to reach their highest temperature but I find they heat enough to make a difference within 10 minutes. Do not confuse these pads with the ones that contain a chemical that reacts with nerves in the skin to give the sensation of heat and/or cold. You don’t want the sensation of coolness you want the cold temperature itself. When my skin has become sensitive from the migraine these chemical pads can even be painful and burn my skin. Lie flat as you can and keep your head and neck straight. If lying flat is not feasible, put on a soft neck collar. You can purchase one at any pharmacy store. This is basically a 3/4 inch thick strip of soft foam covered with fabric with Velcro fasteners. Don’t wear it too tight. Use as many of these ideas at the same time as you can. I have taken ibuprofen and then stretched out on the floor wearing an eye mask with ice under the skull. If cold was a trigger, I add a heating pad or Thermacare pad on my lower neck. Once I have two migraines back to back I start taking a generic form of the anti-histamine Benadryl, diphenhydramine HCl, for a few weeks. Histamine, which is involved in allergies, is thought to trigger some migraines so most doctors now recommend patients with migraines try an antihistamine. This once broke a daily headache I had had for months. Buy the generic in a bottle because diphenhydramine or Benadryl in those single capsule bubbles can be very expensive and smaller bottles can be more expensive than a larger. I buy a bottle of the generic brand at Costco or Walmart. Be aware that Benadryl/diphenhydramine will cause sleepiness which I think is a benefit when I get a migraine. Just avoid driving or any activity that demands your full attention. However, after taking it daily for a few weeks it no longer made me sleepy. Migraines can be very personal so these ideas may not work for you. The trick is finding out what is triggering your migraines by keeping a detailed diary. My migraines do not occur on a regular basis. They go away for 6 to 10 weeks and then I have a period of two weeks with migraines occurring frequently. I can get away with a glass of wine in-between migraine periods but when I am in a migraine phase alcohol of any kind will almost always trigger a migraine. The same with my other triggers. I once dragged formal wear all over Ireland to wear at the end of our vacation to the Galway Oyster Festival Ball. I gave in to a single glass of Guinness (which always tastes better in Ireland) after the Festival parade and barely made it back to the hotel before a major migraine hit. Hubby went off to the ball without me leaving me in the hotel in misery. All my finery never left my suitcase. Too often we concentrate only on food triggers but there are many environmental triggers too. If you do a food diary to catch food triggers, add in an environmental details like temperature and other weather conditions, where you were, and the position of your body and posture. Keep a symptom diary so you become aware of what symptoms precede the migraine. Major stress, cold, air travel, anesthetic for surgery and alcohol are the strongest triggers I’m aware for myself. A migraine headache is caused by inflammation in the trigeminal nerve. Ibuprofen can reduce this inflammation and can be so effective it is included in some oral migraine meds. It has the best chance or aborting or reducing the migraine if taken before the skin or scalp become sensitive to touch. The trigeminal nerve wanders around the head but comes near the surface of the body at the back of the neck and behind the lower molars in the jaw. This is why ice at the back of the neck works so well. It can reduce inflammation in the nerve. 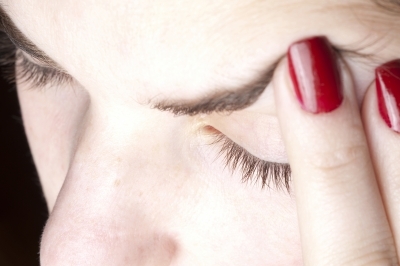 Changes in the barometric pressure can trigger migraines. You can find a “headache” map that shows changes in barometric pressure here.